Scott joined Alpine Ontario in 2013. 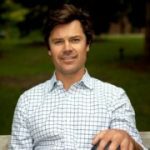 Scott grew up skiing in the Collingwood area and was a member of the Ontario Ski Team before accepting a Ski Scholarship to The University of Vermont in 2004. During his tenure at UVM, Scott qualified to be a member of the Canadian Alpine Development Ski Team where he spent two seasons before reaching the Senior World Cup Technical team where he raced from 2006 to 2009. Unfortunately, due to injury, he was forced to retire just before the Vancouver Olympics. Prior to joining AOA Scott worked in Toronto for Martin, Merry, and Reid in the Insurance brokerage industry. Originally from Toronto Scott lives in Collingwood. AOA Duties: Scott reports to the Board of Directors. 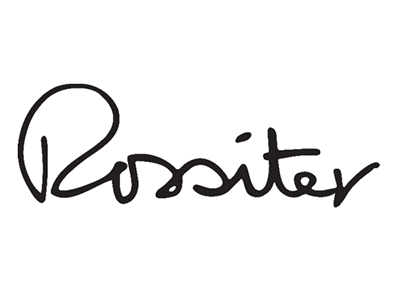 Scott has overall strategic and operational responsibility for staff, programs, expansion, and execution of its mission. Robyn joined AOA in 2010 and has over 10 years of sport-specific experience. Prior to joining AOA Robyn lived in Canmore, Alberta where she worked for five years with Cross Country Canada. 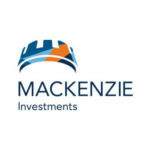 She also worked in the mountain biking community, both nationally and provincially after graduating from Laurentian University with a Bachelor of Commerce/Sports Administration degree. Robyn is originally from Newmarket and now lives in Collingwood with her husband, daughter and two dogs. Robyn is a Level 2 CSIA, Level 2 Official. AOA Duties: Robyn reports to the Executive Director. Robyn manages the new Alpine Ontario Athletic Committee (AOAC) and all related tasks driving from this group. 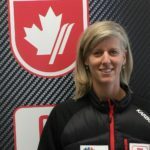 In addition, she manages the officials program; race organizing committee liaison; FIS registration and race entry; CSCF Entry Level course registration. Kip is also the Chair of the AOA Athletic Committee. 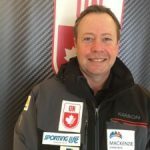 He previously ran the OST from 2000 to 2007 and has returned to AOA after eight years with the Canadian Alpine Ski Team and two years leading the British Ski Academy. Kip is a Performance Level (PL) certified coach and lives in Sault Ste. Marie with his wife and 2 dogs. AOA Duties: Alex reports to the Executive Director and manages the budget, accounting, human resources and office management. Duncan joined Alpine Ontario in 2016. 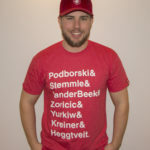 He has a Bachelor of Sports Management from Brock University and his Masters in Sport Management & Health Promotion from the University of Jyväskylä in Finland. After his studies, Duncan completed an internship with Rugby Canada. Duncan is from Ottawa and lives in Collingwood. He played Varsity Rugby and has his Level 1 Rugby and currently coaches with the Collingwood U14 team. AOA Duties: Duncan reports to the Competition Director and the Executive Director. He coordinates the U16 Development Program, manages all race series points and databases, sponsorship acquisition/retention, and procurement of AOA race collateral. Kristin joined AOA in 2017 and has eight years of Sport-Specific PSO experience including working as the Communications Manager at AOA from 2005 to 2011 and as the Communications Coordinator at BC Alpine from 1996 to 1998. 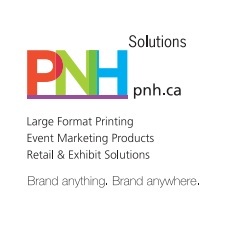 Kristin also has a marketing and sales background, having worked for Xerox Ltd and Blue Mountain Resort. Kristin has her Bachelor of Commerce from McMaster University. Kristin is from Kingston and now lives in Collingwood with her husband and two teenagers. Kristin is a Level 2 CSIA, Level 1 CSCF. AOA Duties: Kristin reports to the Executive Director. She manages all communications projects including e-newsletters, website content & photography, social media, the Annual Report and any public relations matters. Kristin also administrates the AOA Awards Program. Bill joined AOA in 2018 after chairing the 2018 U16 National Championships. 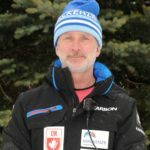 Throughout Bill’s ski career he has worked as a Level 3 CSIA Instructor and Level 2 CSCF Coach throughout Ontario and B.C. 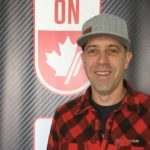 Bill graduated from the Ski Resort Operations and Management program at Humber College and after a brief sales career he went on to work for Sporting Life in Toronto as a Hardgoods Manager(1999-2004) followed by a career as a manufacturers sales rep. for various ski companies. Bill returned to Sporting Life in Collingwood as a Training Coordinator (2012-2015). Bill lives in Collingwood with his wife and two boys. AOA Duties: Bill reports to the Executive Director. 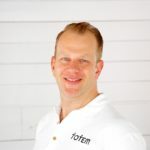 He oversees AOA partnerships and special events including the fall Coaches Conference and the spring Ontario Ski Racing Awards. TES joined the Alpine Ontario staff in 2016 as the SOD Women’s Head Coach. 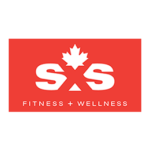 TES has managed athletes onto the podium at the National and International level and has worked with multiple top 3 ranked FIS athletes who then moved on to Provincial and ultimately National Team placements. TES’ coaching style or philosophy is rooted in “Decision Training”. Cultivating intrinsic ski racers who are motivated, independent and as part of the process, ultimately, they develop transferable life skills that create better ski racers and people. TES lives in the Beaver Valley with his wife and two children. 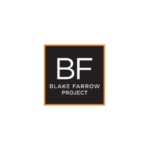 He is a Level 3 CSCF, Level 2 CSIA. Suki has been in the ski industry since 1989 when she joined SOD/Alpine Ontario South (AOS)/AOA until 2003. 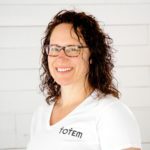 She then joined the team at Devil’s Glen Country Club as the Program Coordinator for 11 years before joining the team at Osler Bluff Ski Club as the Race Events Coordinator. 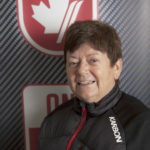 Prior to her ‘ski’ career Suki was with the Ontario Cycling Association and on a part time basis worked as the head coach at Mont St. Louis Moonstone and Horseshoe Valley working with the Nancy Greene team. Suki is a Level 3 CSIA, Level 1 CSCF & Level 3 Official. Suki is from Stouffville and now lives in Collingwood. SOD Duties: Suki reports to the SOD Program Director and is responsible for all administrative support to the SOD program including the SOD race calendar, SOD program guidelines and SOD Ski Team Administration. 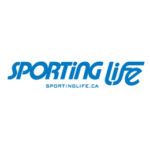 Alpine Ontario also employs three Ontario Ski Team coaches and three Southern Ontario Ski Team coaches. Please find information on these coaches here. 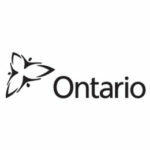 Alpine Ontario works with many partners and relies on their expertise to lead specific business areas for Alpine Ontario. Sarah Edwards, Manager, Coach Education, and Delivery. Performance Level Certified Ski Coach, Level III CSIA, Level III AOA Official & 25 years of experience coaching. 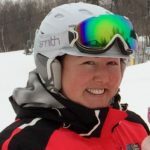 Sarah has been the Entry Level and Development Level coaching course coordinator for Alpine Ontario since 2005. 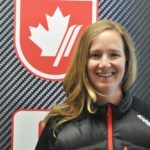 Sarah will continue on with her EL course responsibilities and assume additional administrative duties for the Development and Performance Level (DL/PL) coaching courses (formerly coordinated by Alpine Canada). Sarah is also working towards some exciting opportunities for AOA’s coaching community that will include professional development events, workshops for age specific coaches, course preparation training and improved communication tools. Sarah has two young ski racers of her own aged 8 and 10 and is committed to educating kids and parents on the importance of physical literacy and keeping the fun factor in sport for life! 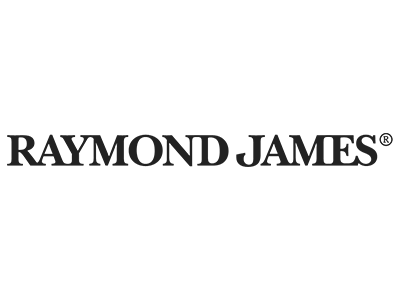 David has been involved in sports science and coaching for 20 years in Australia and Europe. 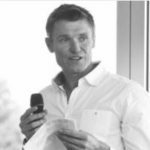 David worked with the English sports system and completed a Ph.D. in 2003 at the University of Bath, high-performance centre, surrounding triathlon and physiological assessment of endurance athletes. Since that time, he has gathered a broad range of experiences in sports coaching, training and performance analysis in athletes ranging from Olympians to aspiring junior athletes in swimming, triathlon and other endurance sports. His coaching outcomes in triathlon have led to success at world championship level. David has a strong academic and applied sport science background having developed specialist experiences in areas resistance training for endurance performance; simulated and actual altitude training periodization; ergogenic aids including antioxidant and sodium bicarbonate supplementation/ pre-cooling in hot conditions. David has been the assistant editor of the Journal of Science and Medicine in Sport since 2007. Erin Smith trained as an Athletic Therapist 23 years ago. Since then she has diversified into a Traditional Chinese Medicine, Craniosacral Therapy, Holistic Lifestyle Coaching, additional manual therapy and concussion assessment and treatment techniques including being a Shift Concussion Management Trained Professional. For many years she worked treating acute and chronic injuries – then she learned how so many injuries can be prevented and treated as a whole mind-body-spirit connection from our history. Many times Erin sees that what brought them a new layer of an injury, is actually from a past compensation pattern or muscle firing pattern left unnoticed. Oren played rugby while he was at Western University where he achieved degrees in Kinesiology and Physiotherapy, graduating 15 years ago. With a love of sports his whole life – he looks at the athletic body, its patterns, its limits, and looks where to enhance performance. This interest has lead him to become a Titleist Performance Institute Medical Level 3 practitioner, as well as being trained at the CHEK Institute in California as an Exercise Coach, Golf Biomechanic, CHEK Practitioner Level 3, and Holistic Lifestyle Coach Level 3. His approach is unparalleled as he is the only person in North America with this combination of titles. Oren’s assessment and program writing is world class, while he takes clients on an adventure from infant development through to their goals at their highest level. Oren is proud to be a part of the AOA High-Performance U16 Program as it is the ideal opportunity for developing athletes.